Twenty-first century life is fast. Inboxes are growing at an exponential rate, phones are ringing in one continuous chorus, and people’s patience has worn as thin as their time is spread. Due to the expected rapidity of business, the need for a virtual assistant has never been higher – so much so that the global number of people who use a VA is projected to reach a staggering 1.8 billion by 2021. But what is a VA? And how can you use your stellar administrative skills, networking abilities and project managing prowess to forge a new high-flying, self-employed career as a successful VA? Read on to find out. A Virtual Assistant (VA) is an independent contractor who provides professional services from a remote location. This sounds similar to freelancing, except that a VA will always work from their own home office, rather than bunny-hopping around clients’ workspaces. It’s likely that a VA will never meet their clients in the flesh. To break the term up, ‘virtual’ means that you do the work, but you’re never physically with your client in their office. And ‘assistant’ is not strictly limited to administrative tasks – it’s a broad term, covering anything from social media and email management to bookkeeping and project management. The key to any task undertaken by a VA is that it must be doable from a remote location. Also, a VA is an assistant to another business or business owner. Whilst a VA manages themselves and are technically self-employed, they themselves are not a company. So what’s entailed within the VA role is really dependent on who needs assisting. See this helpful guide for an in-depth explanation of GDPR and how it might affect you going forward. Working out your pricing structure will be a key component of operating as a successful virtual assistant. On average, virtual assistants charge a minimum of £25 per hour. Higher price points will depend on skills, experience, and the nature of the work that you undertake. Forums are a great place to see what others in your experience bracket are charging. Make sure your prices are competitive, yes, but don’t undersell yourself either. It’s much easier to lower rates than it is to put them up. And, if the skills you have are rare, they should come in at a high value. Sourcing, maintaining and invoicing clients takes time – remember that you’ll be working for yourself, so a regular salary is down to you to secure. Having a buffer is a good idea. Or, stay in full-time employment (and run the business as a side hustle) until you’ve accumulated enough potential clients to smoothly transition into the world of self-employment. Do you want to charge by the hour, or by project? Would implementing a retainer rate be beneficial to your business (it can provide added financial security, which is helpful when self-employed)? And remember, whatever you do charge will have to cover tax, insurance and bills (if you’re working from home, your heating bill might suddenly climb). You’ll also have to allow for savings should you wish to take a holiday, require sick leave or want to put anything away in a pension pot. Oh, and of course, make sure there’s enough for a few payday treats as well. So much more than a secretary that works from home, the VA title covers a surprisingly wide variety of skills and career opportunities. If you’re struggling to decide on which services you could offer as a VA, start by identifying your own USP by recognising your niche expertise. What is it that you have, that others won’t? Next, think about who will benefit from those skills – these people will eventually become your clients. Once you’ve decided which services to offer, it’s time to think about setting up. Because of the self-sufficient nature of the role, a VA must be able to support themselves in regards to tech and resources. For a start, virtual work will depend on a strong internet connection. You should also ensure that your home office is kitted out with everything you’ll need to work efficiently, so you can deliver on the promises made to clients. 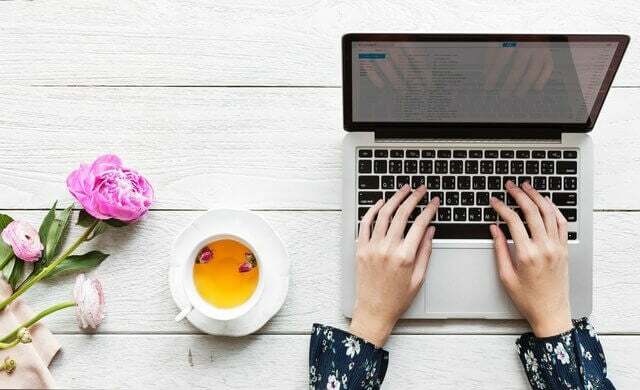 For more information on how to work from home effectively, and some top tips from the self-employed community, take a look at this article. First of all, as someone who is self-employed, Her Majesty’s Revenue and Customs (HMRC) need to be informed when you start getting paid. Think about how you’re going to keep accurate financial records. Outsourcing an accountant can be pricey, but is advisable. There are also steps you can take to reduce their billable time – see this guide for further advice. General Data Protection Regulation (GDPR) means that as of May 2018, all businesses, including the self-employed, have to comply with certain regulations to ensure the protection and security of personal information. As a self-employed individual, you will need to ensure adequate security measures are in place, both online and offline, to reduce the risk of a data breach. Consent is a key requirement in regards to GDPR. It is essential that your client both knows, and is comfortable with, how you plan to handle their data. Your client is within their rights to either request visibility of, or even withdraw, their data from you at any given time. So make sure you have the organisational infrastructure to support this eventuality. Now you understand how much to charge, it’s important to think about how you’ll get those all-important clients. Getting your name out there and finding clients is essential to self-employment success. Your virtual self (ie: your website and social media, such as Twitter and LinkedIn) is how your clients will get to know you, so make sure it accurately represents you and the assistance you can provide. It’s important to look professional to be considered professional. And, since a virtual assistant is, well, virtual, this means making sure that your virtual (online) presence is just as presentable as you would be if you were going to an interview. That being said, it’s also important not to get too hung up on making everything completely perfect before you get started. Waiting for website perfection could take too long, so get stuck in and make sure you’re always maintaining, updating and refreshing your virtual, professional self. Find out more about how to build your own exciting business website here. Wondering how to find VA clients? The answer is to market, market, market. Add yourself to the local business directories and make sure you’re forever updating your LinkedIn profile, so potential clients know exactly what you can offer them. Social media, such as Twitter, is useful for developing a professional network and for seeing what others in the market are up to. You might even discover a valuable online community who can provide you with hints, tips and tricks specific to your trade. Keep your ear to the ground, research your field, and be brave in reaching out via phone or email to those who you see as potential clients. Another good place to start is The Society of Virtual Assistants. As a strong and well established network, they provide good advice, support and information on finding VA work via their website. And finally, don’t see other virtual assistants as the competition; instead, see them as people with whom you can have a healthy professional exchange. This will help to both grow your knowledge base and avoid feelings of isolation when working independently. As a VA, you will have both the freedom and responsibilities of self-employment. Arm yourself with supportive loved ones, a financial back-up plan, and a huge dose of self-motivation. Also, keep on top of emails, maintain your social media, and consider investing in equipment that’ll keep your communication professional, so working for yourself really works for you.